It turns out that my glucose test for gestational diabetes reflected high sugar levels. I’d taken it earlier than most women ‘cause I’m over 35 and have a history of diabetes in my family. Between 2-10% of women develop gestational diabetes in pregnancy, making it the most common health problem for expectant mothers. 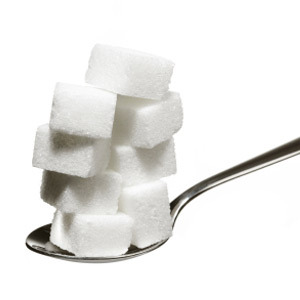 Apparently, and if I’ve understood my good doctor correctly (who good naturedly was annoyed that I asked for an explanation – “Ah, if only you were French…”), when you eat, your digestive system breaks your food down into a type of sugar called glucose. Glucose enters your bloodstream and with the help of insulin – a hormone that your pancreas makes (where’s my pancreas again?) your cells use the glucose as fuel. But, if your body doesn’t produce enough insulin, or if your cells don’t respond well to the insulin, too much glucose moves into your blood instead of into your cells…the ones that convert it to energy (whew!). Hormonal changes in your body during pregnancy can make your cells less responsive to insulin. Anyway, I was ordered to take the longer, more definitive exam called a ‘glucose tolerance test’ this week – my results will be back next week. I went to the lab – they’ve seen me every week for the last four months (and even before that for the two other pregnancies) and still the receptionists are not friendly to me! I couldn’t eat or drink for fourteen hours before I went, so the last meal I had was dinner. I went in, they took my blood, and then gave me 50g of a very nasty sugar solution that tasted like a soda pop you’d buy in South America. I’m told that it’s sweeter than the first test ‘cause the solution is, actually, twice as sweet and ‘cause there’s fasting before. An hour later, they took another blood test. An hour after that, another blood test. An hour later, one more. All the while I had to stay in the lab reception – they wouldn’t even let me leave for a wee walk ‘cause they didn’t trust me not to eat or drink! To be fair, I might have. I’m ashamed to say I carried on like a baby. My bestie and I have been joking about my ‘need’, and other expectant mothers’, to eat for two as an excuse for pregnant women to eat like pigs…but I was frantic without food! I started crying after the first hour and the second prick, and I never cry – I felt so sick, shaky and faint. By the second hour and the third prick, the lab tech took pity on me (or the receptionists complained about my visible misery) and let me lie down in a room by myself where I cried and felt sorry for myself. Jeez louise. No ‘stiff upper lip’ on this one. Maybe I am what my good doctor says, a ‘woosie’ (or as he pronounces it, ‘ah wooz’).